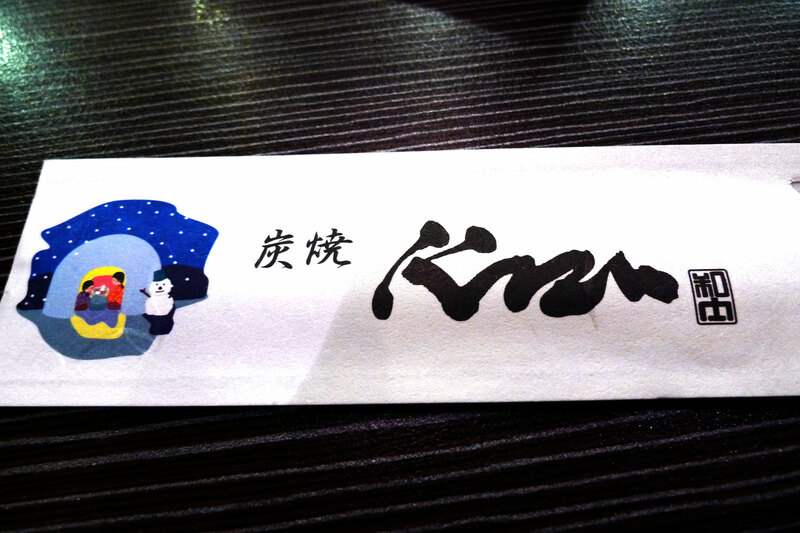 As the title says, this was Sinful Saturday at Kazu. 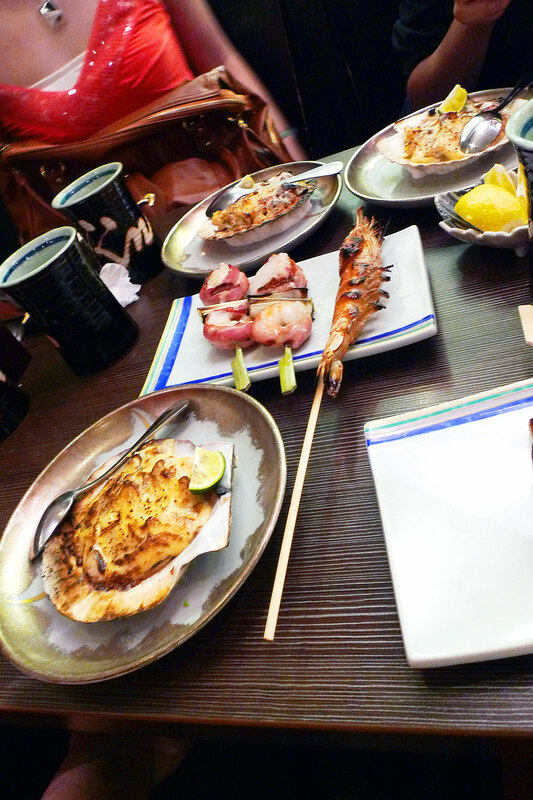 We ate so much fatty grilled food that I don’t even want to think about it. 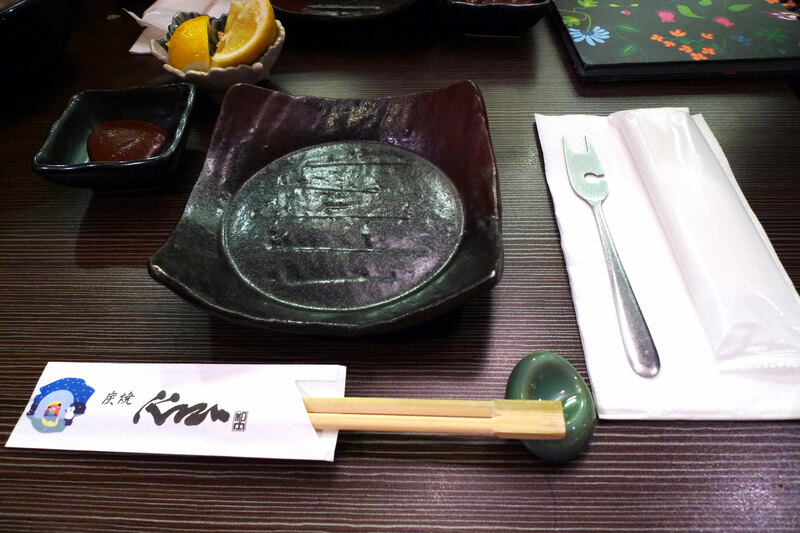 I didn’t really bother to take many photos of all the various kinds of food that I ordered since it’s all going to look the same – dark brown. So these are just some of the selected shots that weren’t so brown. Hotate cheese with enoki. My favourite dish of all, I always order it ASAP because a lot of people will also order it and then it will be out of stock and I will be sad. 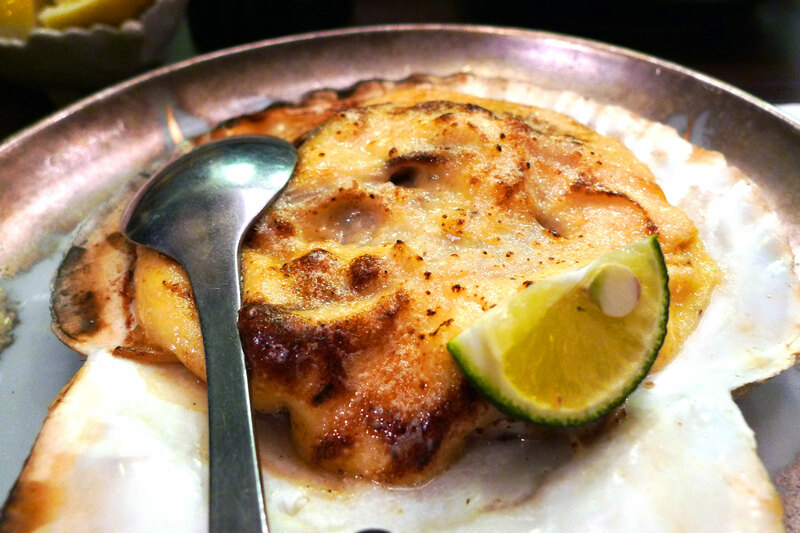 It’s basically scallops mixed with enoki mushrooms and then covered with a delicious layer of grilled cheese. 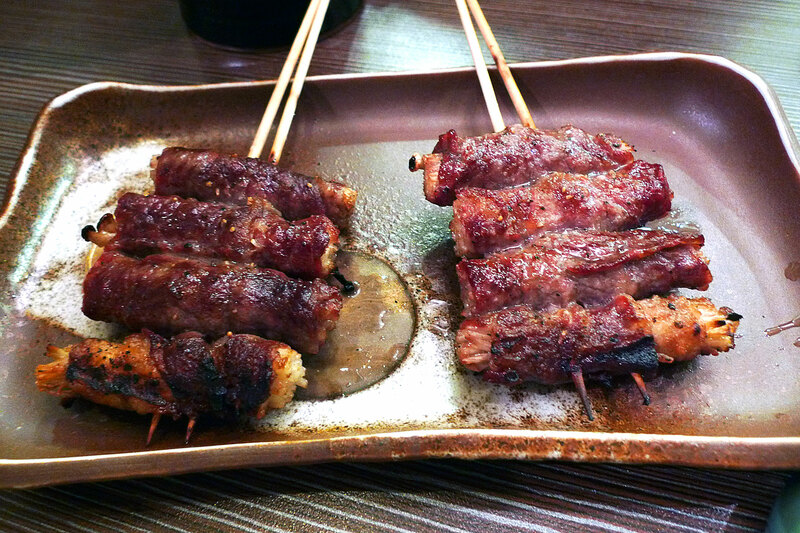 Wagyu wrapped enoki – yum yum, nothing better than grilled thin wagyu wrapping the juicy enoki mushrooms. There’s a nice texture playoff in the crispy wagyu and the soft juiciness of the mushrooms. 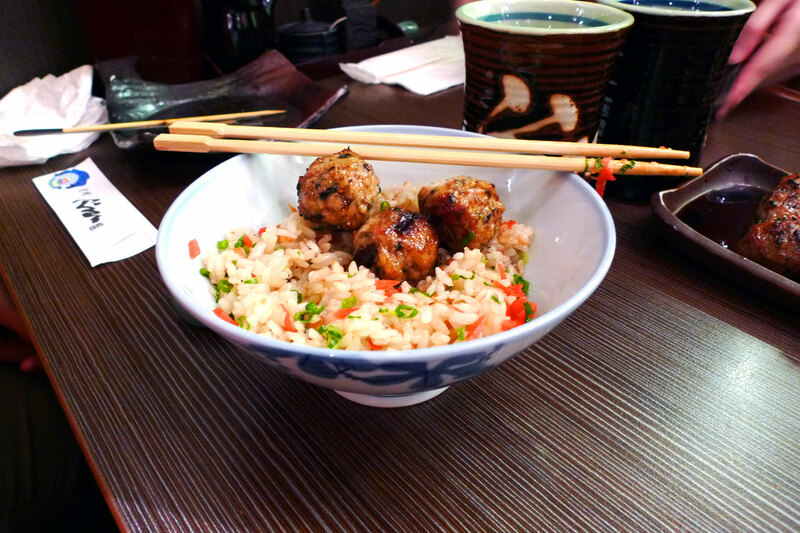 Garlic rice with tsukune. 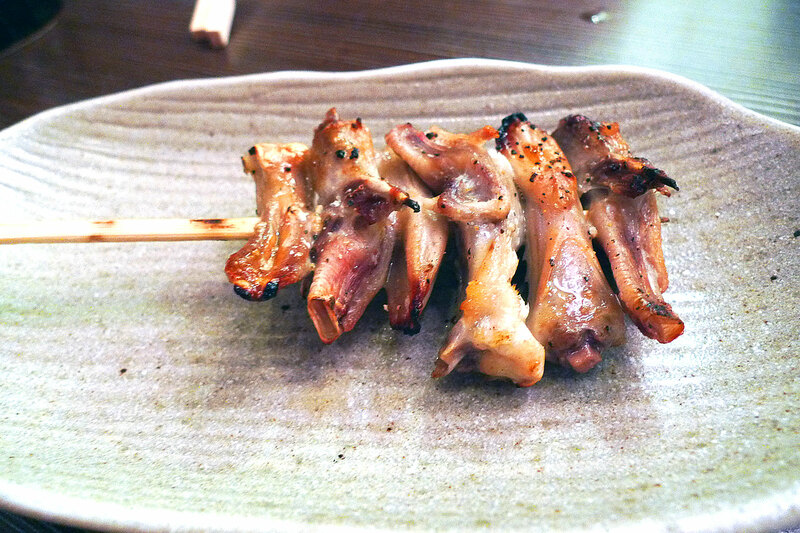 I like the taste of Kazu’s tsukune, there’s something special and unique about the taste. 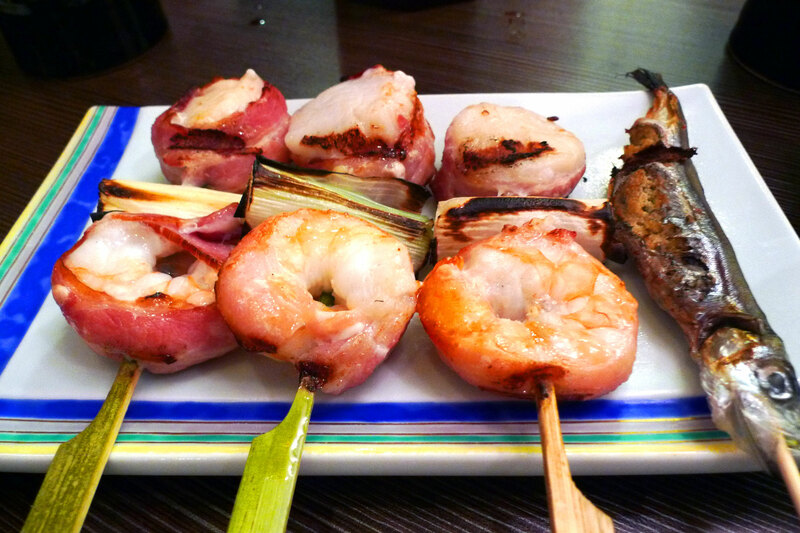 Ebi & hotate wrapped in bacon and shishamo at the end. 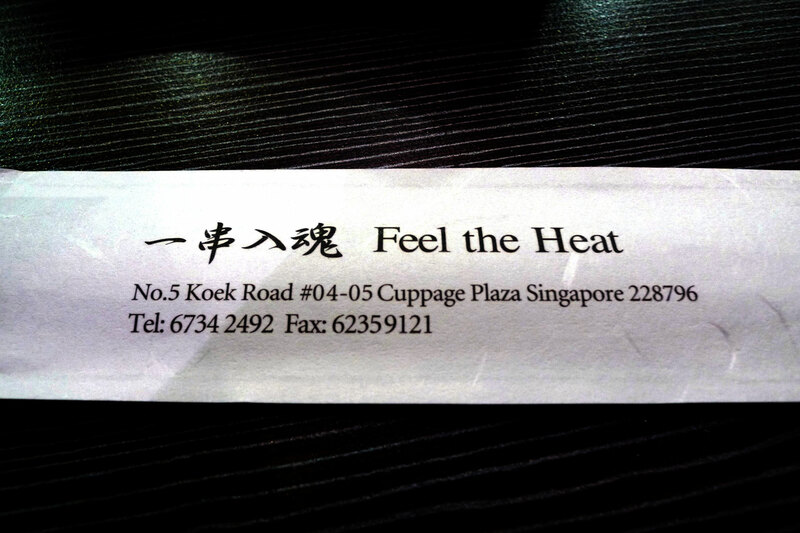 Damn tasty, the prawns were so fresh and crunchy! 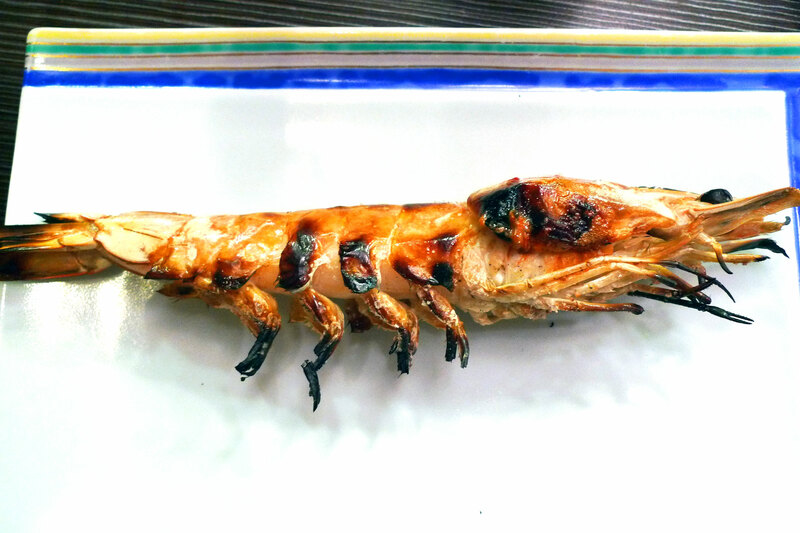 Mr. Prawn, as the waitress called him. 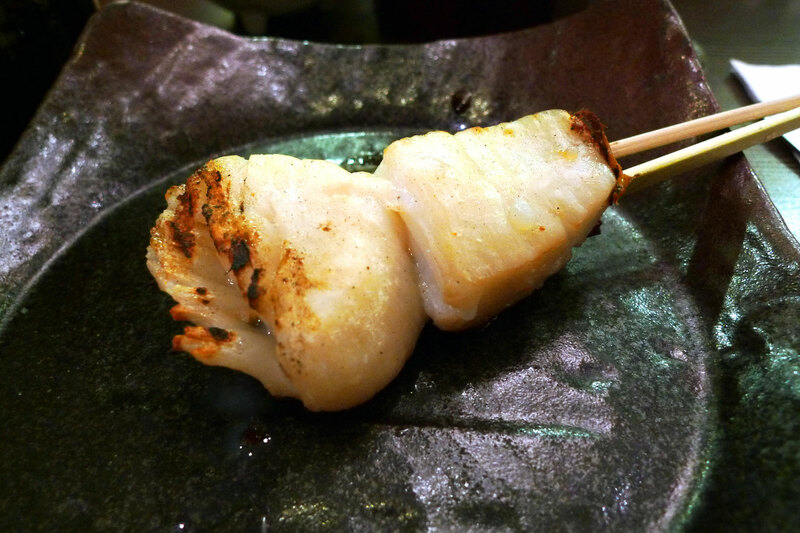 Actually it is a kuruma ebi, and they salt grilled it until the shell is so crispy that I could eat it also. Second round of hotate cheese. It was too irresistable! 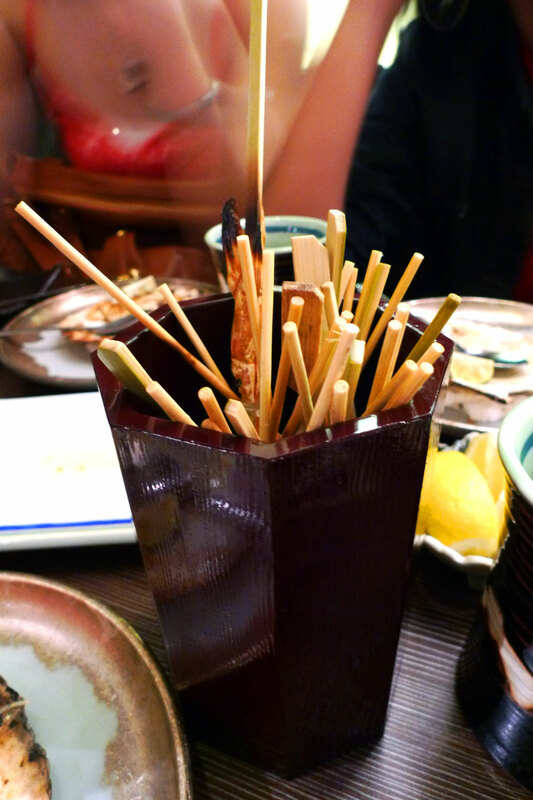 For the adventurous, try duck tongue. Damage at the end of dinner. 2 Responses to "Sinful Saturday at Kazu"